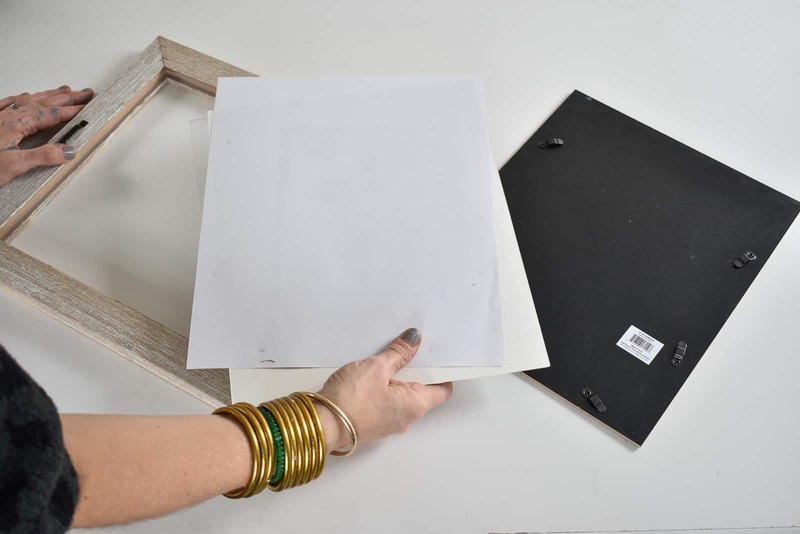 Disclosure: I’ve partnered with Safari Ltd. to share this fun craft project with you. 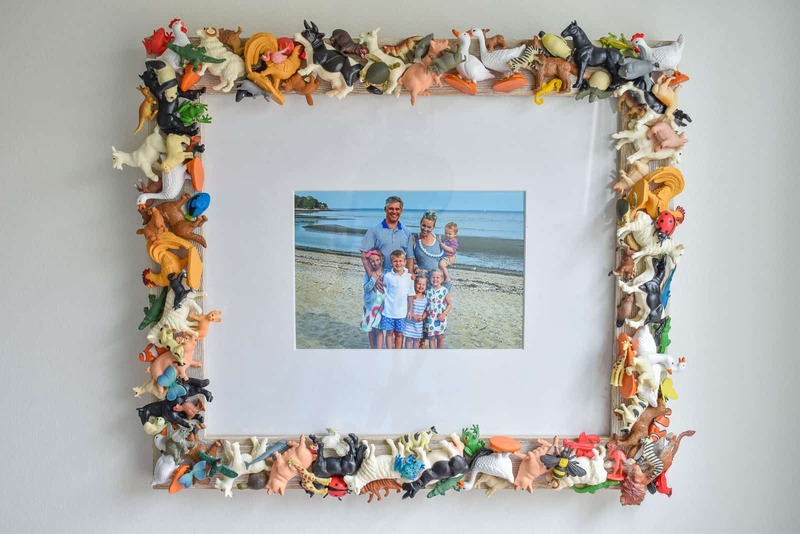 I removed the glass from my frame and then dry fit the larger plastic animals. I tried to keep them from hanging over the frame too much, but I also wanted to fit them all together as tightly as I could! 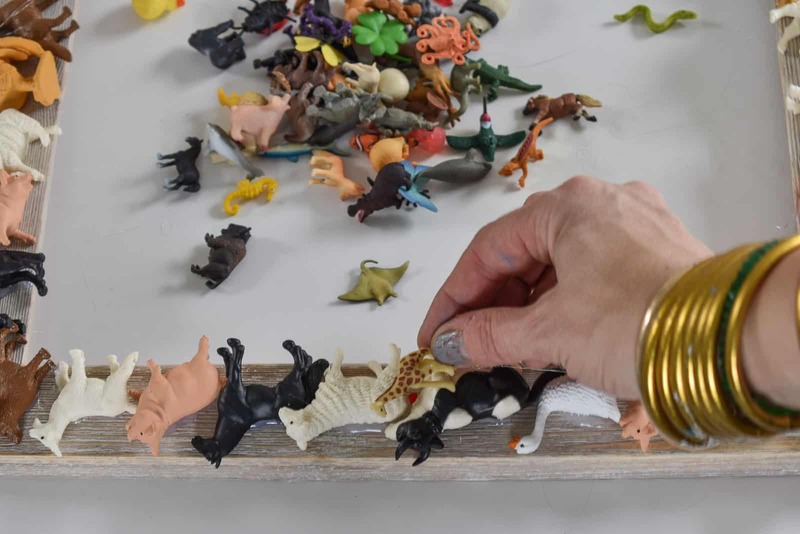 Working slowly, place a generous dose of hot glue onto the each animal one at a time. 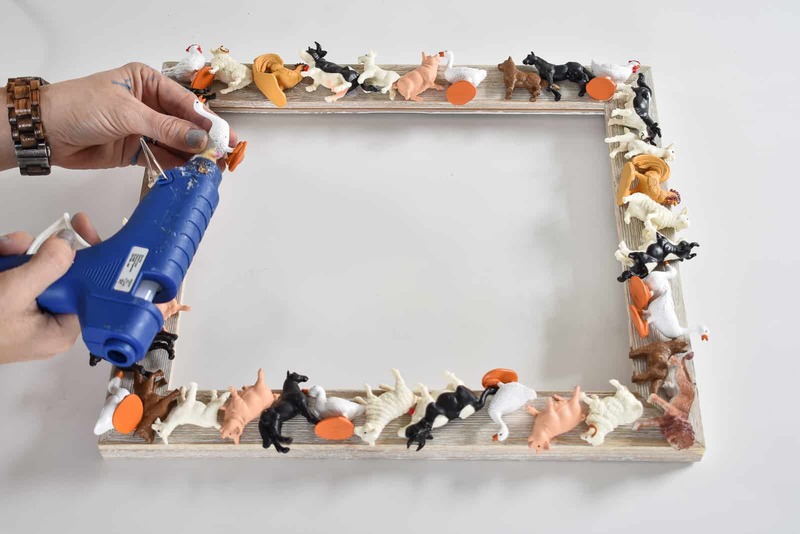 Consider what part of the animal will be touching the frame… this is obviously where you want to apply your hot glue. 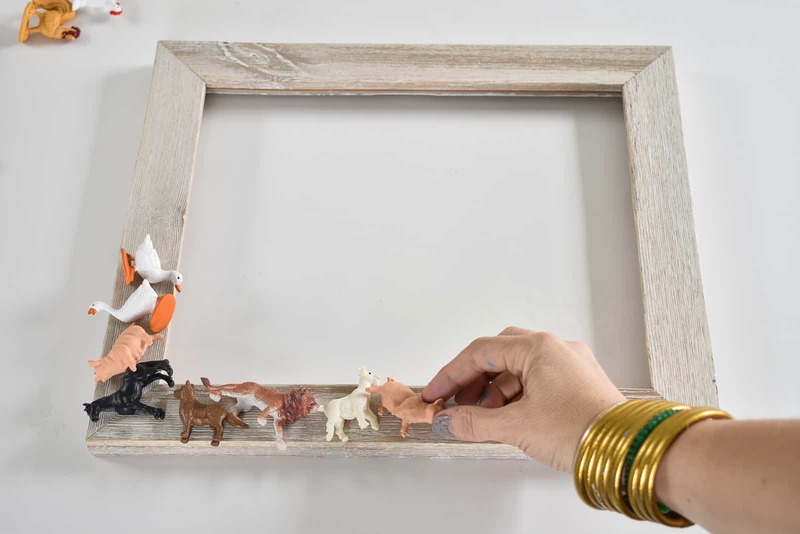 Carefully place the Good Luck Minis where any gaps are leftover on the frame. 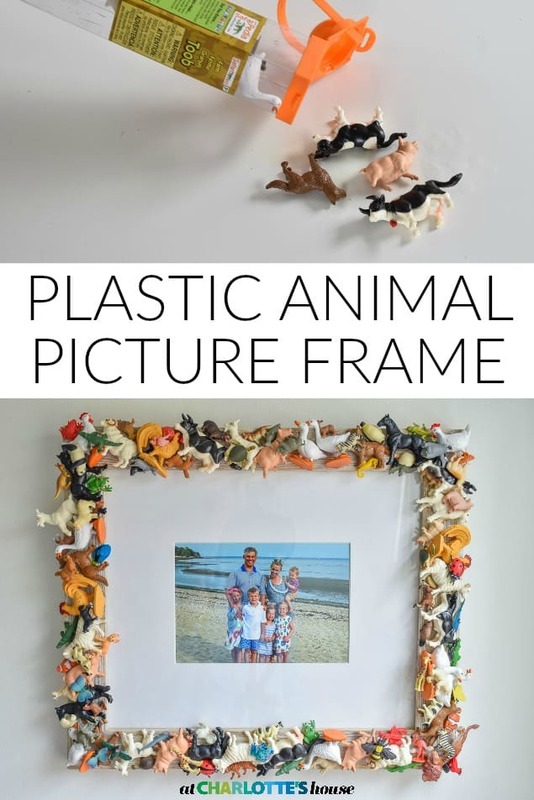 The goal is to completely cover the frame with colorful plastic animals so tuck them under and over the larger animals as needed! 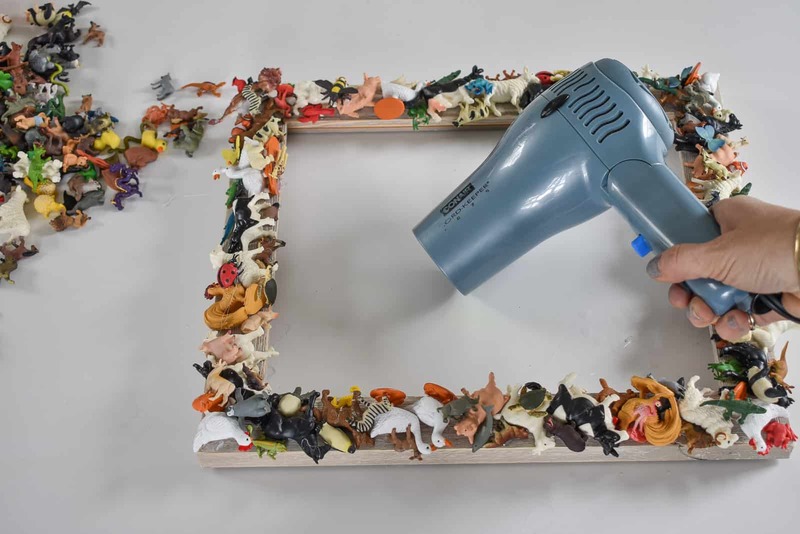 Here’s one of my favorite tips when working with hot glue… grab a hair dryer or a hot glue gun and turn up the heat. 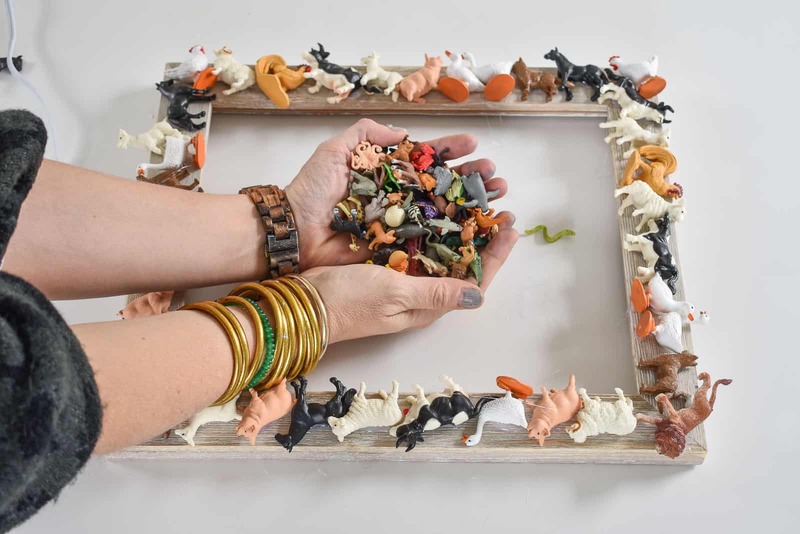 Blow it over the glued animals and any little hot glue threads will dissolve in the heat! I hung this in a little nook in Arthur and Louisa’s room and they love looking up at it as they play! 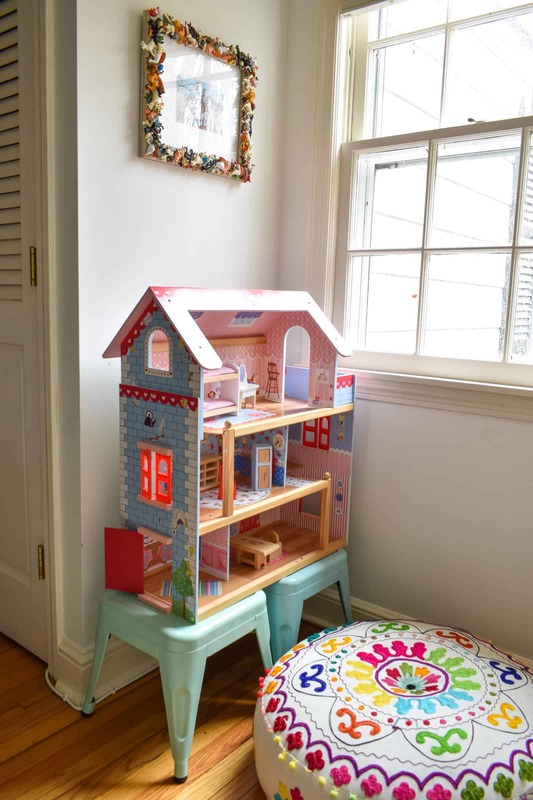 I love that their favorite toys have now been incorporated into the decor. Also… did I mention it was super easy? 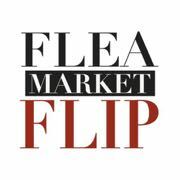 I love this project!!!! I know what i’m going to do next!! Thanks for the inspiration! 🙂 This is such a good idea! Where’d you come up with it??? 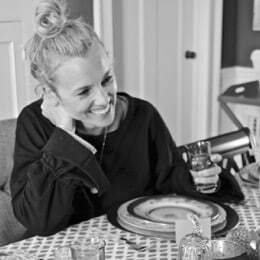 I didnt think it was possible to learn anything new about glue guns – until you go and mention the blow dryer hack! MIND.BLOWN. 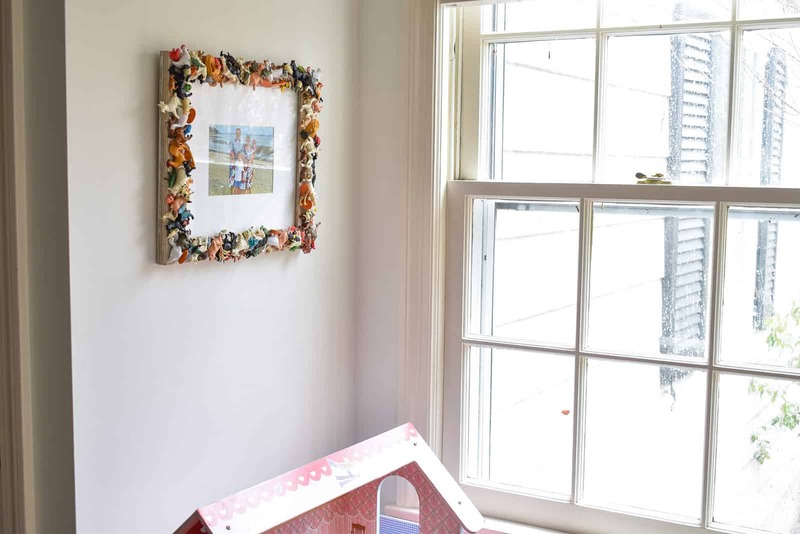 THE FRAME IS SUPER CUTE – WE HAVE A FEW SHADOW BOXES FILLED WITH GOLD SPRAY PAINTED MAMA-BABY ANIMALS THAT I SAVED FROM MY SAFARI THEMED BABY SHOWER. IT’S SUCH GREAT ARTWORK FOR KID AREAS! Haha! Yeah… it’s a life saver! 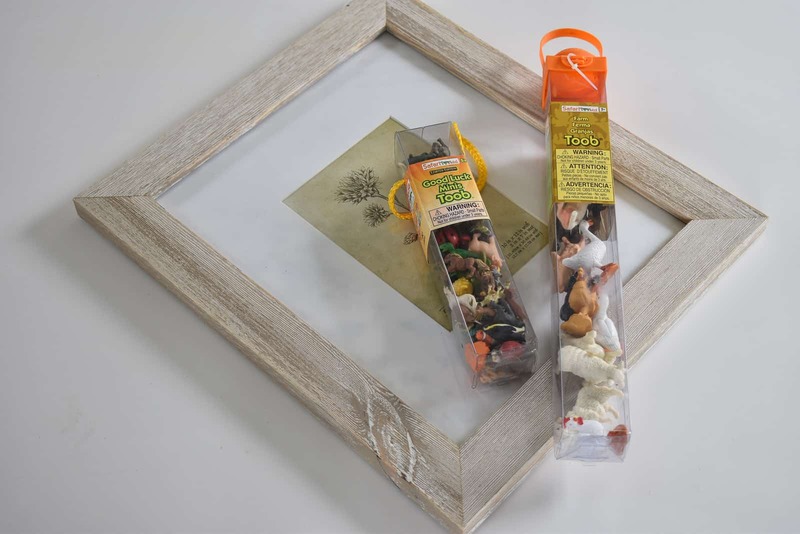 And those shadow boxes sound adorable! !